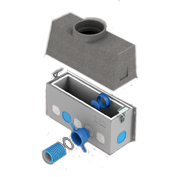 The best solution for flue systems in stacked housing-construction is Flexline. The Flexline-family is a complete system that will improve every renovation project. Take for example the Multi-Flexline-system. It’s unparalleled simplicity is the perfect solution for numerous renovation projects where substantial elevations need to be bridged by means of a narrow shaft. 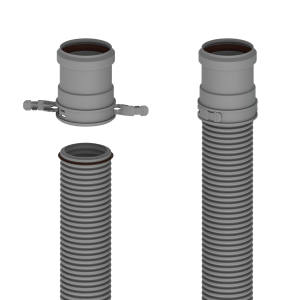 In all Flexline-systems the flexible synthetic pipes are double-walled: this serves as an extra guarantee to ensure they are gas-proof. Flexline-systems are often used as chimney lining in renovation projects. Even if the outer ribs are damaged by a rough shaft, the system remains sealed. The double wall has another advantage. 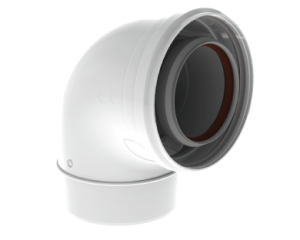 The smooth inner layer ensures an unimpaired flow of the flue gases. The flow resistance is minimal. The Flexline-material is exceptionally resistant to aggressive condensation. The smooth inner layer ensures an extra long life span: there are no ridges, in which condensation can gather. A flex-pipe can be placed quickly: it is light-weight, very flexible and can handle an enormous tensile force. With the unique connective pieces, connections can be made super-fast. They can be placed without using tools because of a unique ‘click’-system. 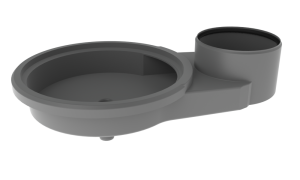 Every connection is perfectly sealed and is completely tension proof owing to the built-in pull relief. In the broad range of Flexline-systems you will find the ideal solution for every renovation project. Note: First consult boiler manufacturer specifications for the correct diameters and lengths.